Gratallops is a red wine coupage of Grenache and Carignan from grapes selected from eight different estat, owned by the Álvaro Palacios winery. Excellent Priorat wine, a reflection of the grape and the terroir of the area. Very elegant and expressive being a pleasure for all the senses. 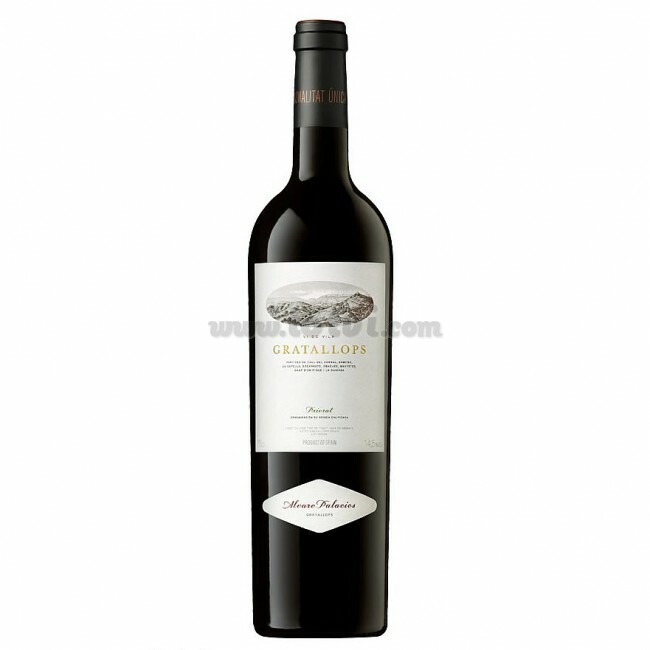 Gratallops is a red wine coupage of Grenache and Carignan from grapes selected from eight different estates, owned by the Álvaro Palacios winery. Intense cherry red color. Clean and bright with dense tears and slow fall. At sight very attractive color. On the nose we find a very intense, complex and seductive wine. A lot of fruit, fleshy and something liqueur intermingled with minerality; while on the palate it is a wine of great volume, wide and with great route. Silky and at the same time tasty, with a great structure. Intense juiciness, full of energy. The must fermented at controlled temperature in small wooden vats, with periodic bazuqueos, and performed the malolactic fermentation in barrels. He was raised in new French oak barrels for 18 months. Ideal to accompany pork, grilled meats, stews, cheese and sausages. Serve at a temperature between 16º and 18ºC, we recommend decanting more than one hour before consuming.